Opportunities for growing poplar for high-value markets are on the rise. 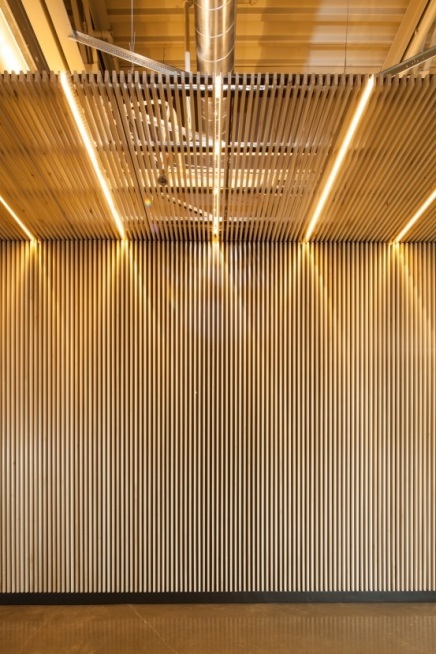 At the meeting in Vancouver, representatives from six wood products businesses outlined existing and potential markets for poplar grown in the Northwest, including furniture and building materials such as wall and ceiling paneling. The lightweight wood makes it an ideal wood for making action sports equipment such as snowboards and kiteboards. Poplar is also being considered as a component of cross-laminated timber (CLT), which is an engineered wood panel. CLT contains multiple layers of lumber oriented at right angles to one another and then glued together to form structural panels of exceptional strength. Getting poplar into these newer markets is of major interest to municipal wastewater treatment facilities growing poplar. 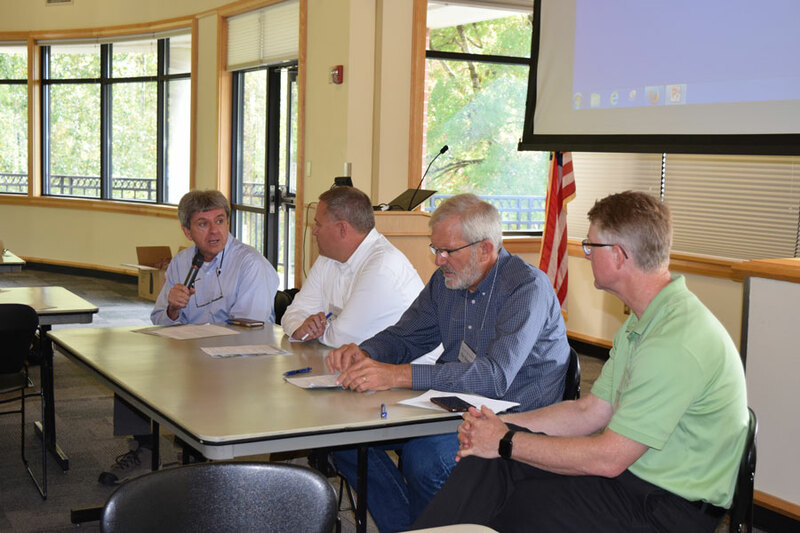 Industry experts explained how poplar is grown with recycled effluent and biosolids from wastewater treatment facilities in Woodburn, Oregon and also at the Biocycle Farm managed by the Metropolitan Wastewater Management Commission near Eugene and Springfield, Oregon. These groups hope to gain duel benefits from growing the trees, preventing excess nutrients from entering local waterbodies and producing a marketable crop. Potential bioenergy market opportunities, where poplar biomass would be used to produce biofuels and biochemicals, is getting closer to becoming reality as the first cellulosic biorefinery is expected to break ground next year in Boardman, Oregon. AHB is researching the potential of using poplar trees grown with recycled wastewater as a feedstock for biofuels and biochemicals. By collaborating with wastewater treatment facilities growing poplar, AHB could help develop an initial supply of feedstock that may one day supply additional biorefineries. AHB leaders, Brain Stanton of GreenWood Resources and Tim Eggeman of ZeaChem, discuss market opportunities for poplar with other industry representatives.